Trailhead: From the Squaw Valley parking lot, walk down Squaw Peak Road and find the trailhead on the left as the road curves to the right. 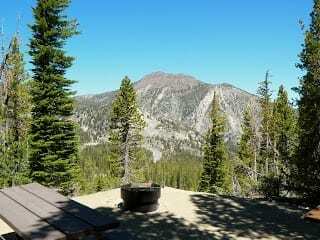 Description: Follow blue blazes and Shirley Creek up over boulders and past scenic waterfalls 2.5 miles to Shirley Lake. From here you can either turn around and come back down or keep climbing to High Camp, where you (and your dog) can take the Cable Car tram down for free.